Dentures remain the fastest and most affordable solution to missing teeth. Whether patients lose one or all of their teeth to tooth decay, gum disease or physical trauma, they can restore their looks and oral functionality with this treatment from our dentist. Here is more about the advantages associated with this form of tooth replacement. This tooth replacement offers a variety of forms to suit different requirements and goals. The conventional type is fitted and placed after the tissues have finished healing following removal of the final teeth. By contrast, the immediate type can be placed in the mouth as soon as the last teeth have been extracted. Finally, overdenture can be chosen to make use of remaining teeth for support. 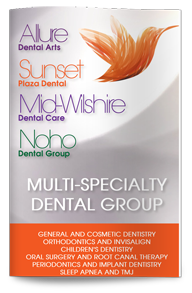 Patients can choose full or partial types to replace all of their teeth, just a few teeth or even individual teeth. Patients can use and maintain this form of tooth replacement easily. Each day, patients should rinse and gently brush their tooth replacements to remove food and other debris. If patients need to store their tooth replacements, they should keep them covered in water in a safe location. When extra stability is required, patients can use ADA-approved adhesives with these tooth replacements. Through the timely replacement of missing teeth with normal-looking, properly functioning artificial teeth and gums, patients can once again smile, eat and converse with confidence. Patients can learn more about this treatment and its benefits for them at a consultation with our dentist.